Hack 2: How to clean Copper and brass articles at home ? These articles can be cleaned easily with salt and vinegar. First moisten a wad with vinegar and then dab some salt on the wad. Now rub vigorously until the articles get fully cleansed. Besides this option, you can also use lemon to clean. Dip lemon in some cleaning powder and scrub on the brass or copper articles. The shine will be back. Just within a few days, we are going to celebrate the arrival of spring with Holi, the festival of love, colour, delicious food and joy. 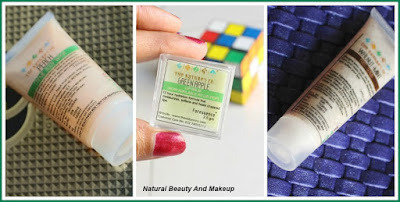 On one side of mind I am well prepared to protect my skin and hair but on the other hand, I am trying to put myself on the reverse time machine remembering if there is any old bright dress I have in my closet to wear on holi that I've forgotten now! 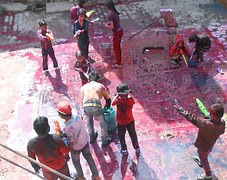 While it is wise to wear an old dress on holi so that you can throw it on the next day but what if you are accidentally caught in the office or outside your apartment? OUCH! those colour balloons will definitely colour your good attire and spoil your mood eventually. So today I’m going to share with you the tried and tested methods of removing Holi stains from your dresses. I have tried to compile a few of expert’s tips here in this post. Note down these and play Holi happily without worrying too much about the aftermath. How have you been? 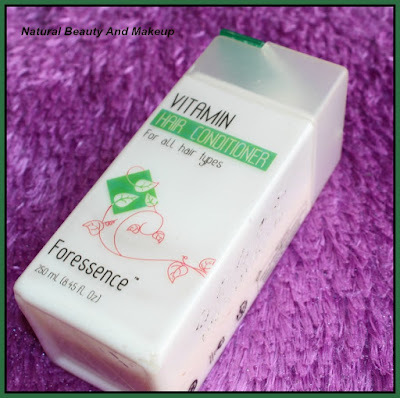 I am here to share with you all another review of mine, on Nature’s CO Vitamin hair Conditioner, from Foressence range. 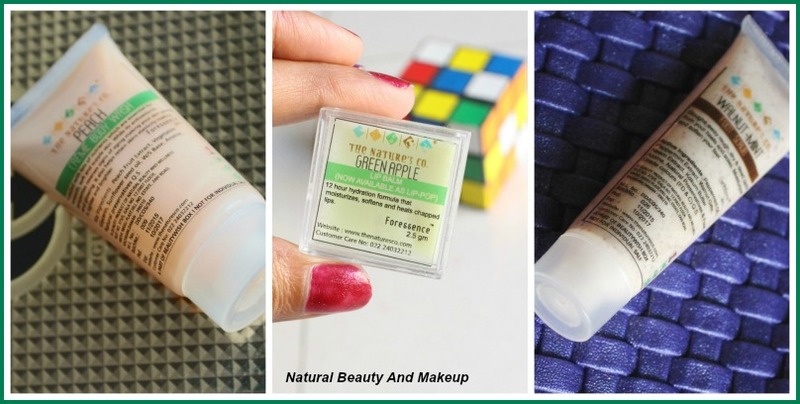 This Vitamin Conditioner is from Nature’s Foressence range. It contains pro-vitamin B5 that naturally thickens hair, gives it body and hold while it gently nourishes and strengthens your scalp. 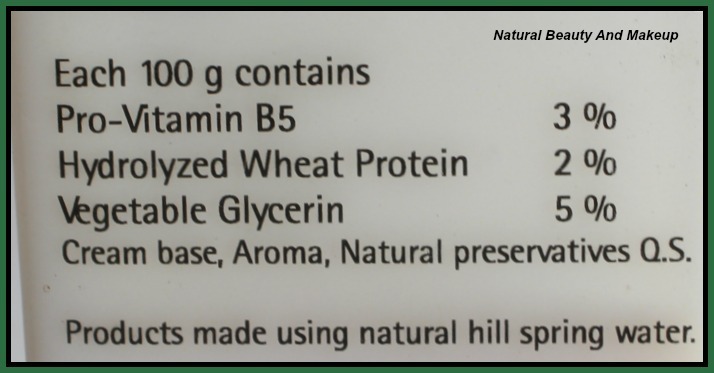 This is a vitamin E conditioner which claims to nourish and strengthen scalp. Ingredients: - Pro-Vitamin B5, Vegetable Glycerine, Conditioner base. Mix baking soda (1 tbsp) with a little milk in a bowl. Now apply this paste on the face with a cotton ball and let keep it for 5-7 minutes. Gently wash with Luke warm water and see the amazing result! How you all have been ? Well today I am going to discuss about skincare tips during night shift job. You may wonder why I have suddenly chosen this topic! Let me tell you the reason. In my past job life I was associated with the media industry, which included night shift duty also.Now doing a night shift job is not at all easy, as it always takes a toll on our body. The night shift workers are prone to various health disorders than the day shift workers, e.g. gastro-intestinal problems, obesity, hair loss, stress, mood swings, sleep disorders etc. The worst part is skin issues that do not lag behind! On night shift duties, I used to apply minimal makeup, like moisturizer, kajal, lip balm and a little face powder. 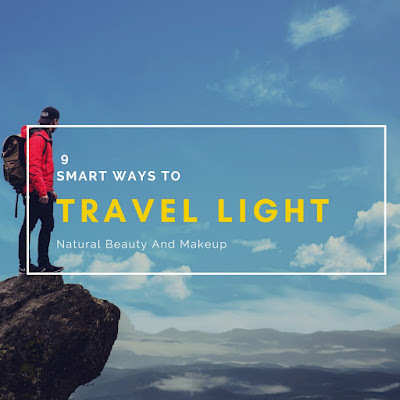 Lately I found while on duty my skin was getting terribly dry, leaving skin dull and flaky. Then I started following skin care routine religiously during duty time at the office only to get rid of harsh dryness. Now what are they, to know more read ahead. You know what I’m very happy and relaxed nowadays, reason? Oh yes at last almost after one year, I could visit my home with hubby, could see the happy faces of my parents! Due to shortage of my husband’s office leaves we couldn’t visit earlier there, not even celebrated my Dwiragoman ritual at that time(Dwiragoman/ Astomangala is a kind of Pag Phere ritual in our Bengali marriages, where after eight days of marriage bride visits her parent’s home accompanied by her husband. This marks the end of marriage ritual as well as it is a kind of formal introduction of groom to the bride’s family) instead we did this ritual at my in-laws place to end all the rituals related to marriage. Really it’s been a long time I have had such family fun. 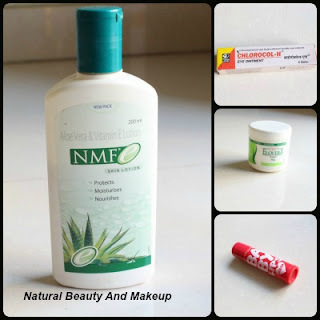 Now coming to the main topic, today am reviewing the rest products of my Nature’s Co November beauty box 2015. Earlier I have reviewed Kiwi hand & nail cream, Vanilla Vitamin E face cream & Lavender Ylang Ylang body butter respectively. Keep reading to know more.